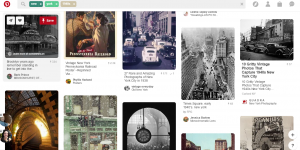 If you’re like me, you spend a lot of time on Pinterest. 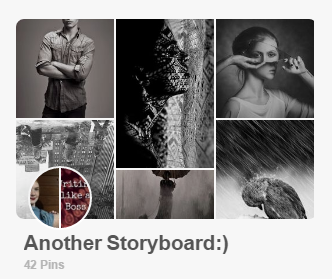 If you’re really like me, you have 100+ boards between two accounts, and you use the site for your writing advantage. For those of you who don’t know, Pinterest is a social media site that is less conversation and more photos and ideas. These photos are called Pins, and you can “pin” them to the different “boards” on your profile. One of my profiles looks like this. 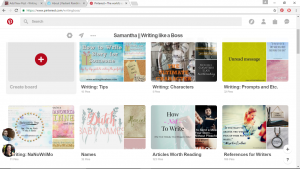 At first glance, a lot of people wouldn’t guess Pinterest to be such a good place for writers. Most people dismiss it as a website for recipes and crafts. While it does have its fair share of those, Pinterest is so much more. In fact, people are even using it for business, or for their own blogs! 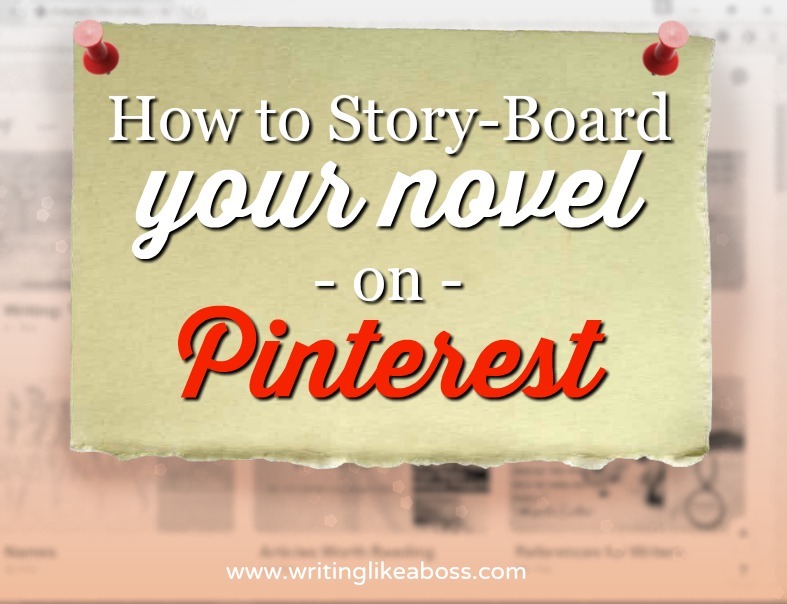 You may be asking, “Why would I story-board?” What’s the point? What’s the point of story-boards? Personally, I use them as a form of outlining, or planning a novel. While most forms of outlining involve typing (or writing) the ideas out, story-boards are more of a visual tool. It’s easier, not to mention way more fun, to actually see what you’re planning, as opposed to staring at words on a document. What kinds of pins belong on a story-board? Prompts. These are important, because they may become the backbone of your future novel. 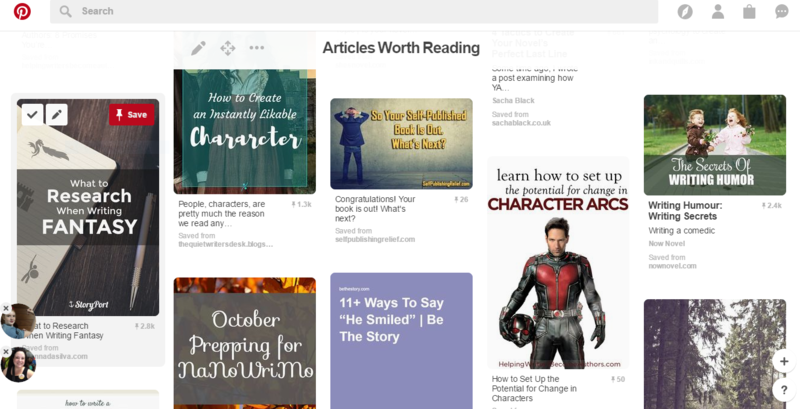 One little writing prompt could form the whole plot, subplot, or even a character! 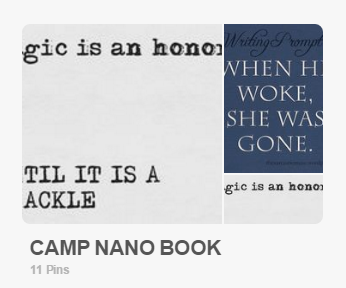 And Pinterest has oodles of them to choose from; just so much as doing a search for “writing prompts” will turn up maybe thousands of results. Characters. 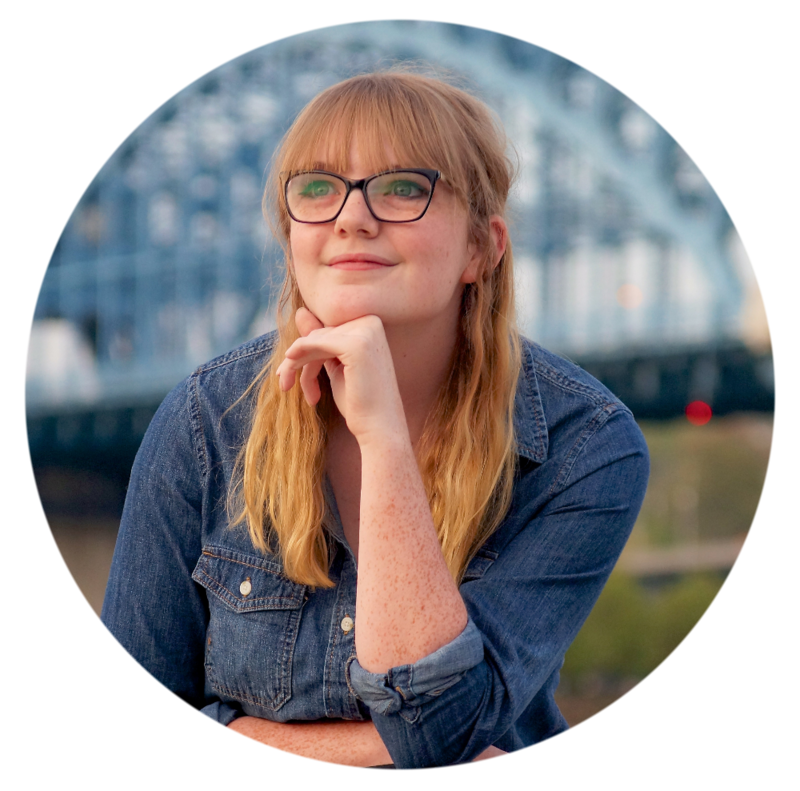 The amount of portrait photography on Pinterest is almost scary, if you really take the time to find them buried under all the other pin-types. It’s not just pretty people with nice lighting, though; there are plenty that are curious, unique, even ominous or frightening photos of people. This is a fantastic tool for nailing your character’s appearance, because if you can see them, they seem more real.Tip: a lot of writers on Pinterest have entire boards for “character” photos, so you could do a search for those kinds of boards. But, like all things Internet, use caution: sometimes photos in those boards are less than pleasant. 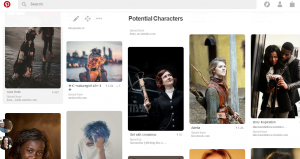 The best Pinners with character boards are those with popular writing blogs, because it’s not likely they will pin anything inappropriate that will hurt their blog’s reputation, and the boards tend to be more relevant. Research (AKA “miscellaneous”). If your novel is in the fantasy genre, pin photos of some magical creature that catches your eye, or that sword forged from a gem that you think would work well in Chapter 5. Wedding scene? Do a search for “wedding.” Need fashion reference (military uniforms, Victorian-era dresses, prom outfits, etc.)? Pinterest is full of ’em. Even if you need a photo of an abandoned Ferris wheel, it won’t be hard to find. 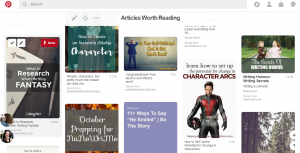 If you have more than one active account, look for the button that will let you invite another Pinner to the board, and share your story-board with your other account. That way, if you see a picture that you need on the board, you can pin it from whichever account you’re using. 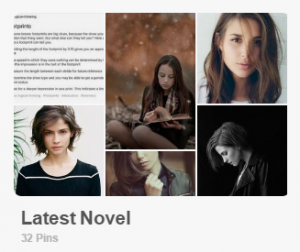 Pin like crazy. If something piques your interest even in the slightest, pin it. Whether it’s a cool photoshoot or a social media post that catches your eye, you’ll thank yourself for it later. 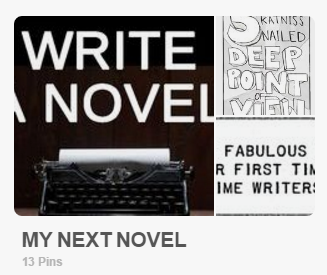 If you don’t want anyone to know about the novel yet – for whatever reason – make the story-board secret. In the board’s settings, there should be an option to make it private. Only you, and whoever else you invite, will be able to see it. You can always make the board public later. Questions? Additional tips or ideas? Please, don’t shy away from sharing! 🙂 I love hearing your thoughts. 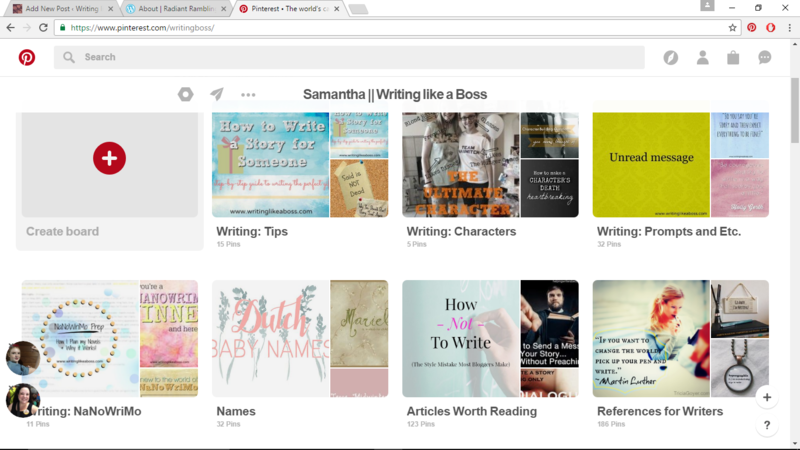 For all you Pinteresting people out there: check out the Writing like a Boss Pinterest for more writing content!